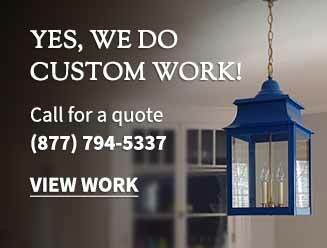 The Oil Lamps pictured work best with highly refined liquid paraffin lamp fuel as it is virtually odorless and smokeless when used as directed. It is the cleanest burning lamp fuel you can buy; it eliminates sooty build-up commonly associated with kerosene fuel. You may purchase it under our Oil Lamp Fuel category. These Oil Lamps are solid brass. 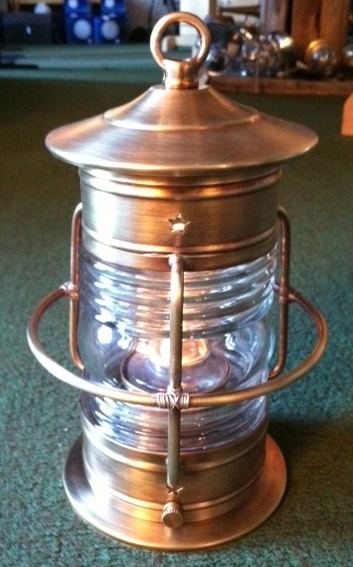 The Cape Cod Table Small Caged Oil Lamp can be used indoors or outdoors either on a table or hanging from a hook. It is solid brass that will patina over time. The Mini Yacht Lamp is best used indoors, and would be very pretty in a Den or room with a Nautical feel.